what diversity in teas from around the globe! Request a Gift Certificate for a Future Seminar! Visit the General Store at Colvin Run Mill to also purchase tea cups and mugs personalized for this historic local landmark. While you're there, pick up some whole wheat flour, grits, and cornmeal, stone ground right there at the working Mill, to prepare some of the recipes on our TEA-rific Recipes page! Open every day 11am-4pm except Tuesday, Tours available! 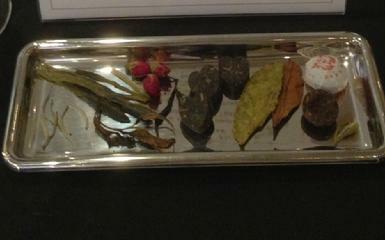 "Your seminar on the Teas of India was wonderful! The information was presented in a welcoming and easy to understand way that has hooked me on tea. I look forward to attending many more." "That's the best turnout we've had at a monthly program in years. You did a wonderful job - your presentation was a nice balance of fact, personal history and anecdotes! Lots of fun delicious teas..."
"Your classes are always such a delight and are so informative... you make people feel so welcome..."
"Thank you so much for making the Tea Tasting for our ladies group such a success. I have had excellent feedback..."
"We really enjoyed the seminar last weekend. You certainly delivered in terms of the teaching and tea offerings." Want to hear a preview about premium teas? 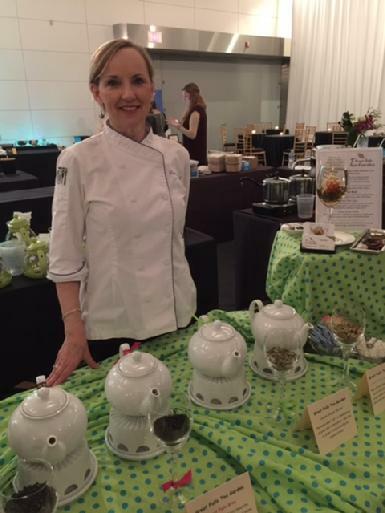 Listen to Laurie Bell's appearance on the Kojo Nnamdi Radio Show on WAMU radio's "Food Wednesday" segment! 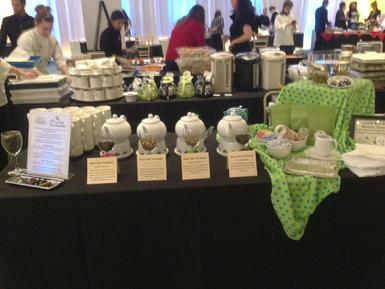 Serving a selection of Great Falls Tea Garden premium loose leaf teas!! Welcome to the world of single origin, artisan, and premium loose leaf teas, sourced from tea gardens around the globe. Not only is tea a healthy beverage, filled with antioxidants, but the vast variety of styles and flavors make it the most consumed beverage in the world after water. Remember when wine consumed in America tended to be labeled red or white “jug” wine and coffee was purchased at the grocery store, in one basic flavor, already ground, in those round metal cans? How far we have come in our knowledge and appreciation of those two beverages. Americans are now familiar with the many regions and countries that harvest grapes and coffee beans and how the various processing methods can produce different styles and tastes. How the "terroir" in a growing area gives a uniqueness to whatever is harvested there. And remember - at these tastings, you can drink and STILL drive! Drink the best. You deserve it.